Cadence OrCAD PCB design suites combine industry-leading, production-proven, and highly scalable PCB design applications to deliver complete schematic entry, simulation, and place-and-route solutions. With these powerful, intuitive tools that integrate seamlessly across the entire PCB design flow, engineers can quickly move products from conception to final output. To stay competitive in today's market, companies must move their designs from engineering to manufacturing within ever-shrinking design schedules. Available as standalone products or in comprehensive suites, Cadence OrCAD personal productivity tools have a long history of addressing PCB design challenges, whether simple or complex. 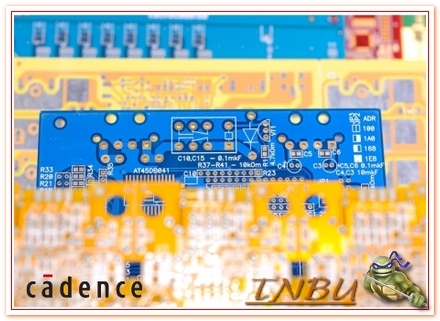 The powerful, tightly integrated PCB design technologies include OrCAD Capture for schematic design, various librarian tools, OrCAD PCB Editor for place and route, PSpice A/D for circuit simulation, OrCAD PCB SI for signal integrity analysis, and SPECCTRA for OrCAD for automatic routing. Easy to use and intuitive, these tools bring exceptional value and future-proof scalability to the Cadence Allegro system interconnect design platform to grow with future design demands. OrCAD PCB design suites provide integrated front-end design and simulation technology (Cadence OrCAD EE Designer) as well as an integrated back-end place-and-route design solution (Cadence OrCAD PCB Designer) to boost productivity and accelerate time to market. 859855 SIG_INTEGRITY GEOMETRY_EXTRACT OddSegParallelOffset env doesn't work if Enable CPW Extraction is checked. 1014275 CONSTRAINT_MGR OTHER F2B: DiffPair cns was not updated if DiffPair Name didn't match. 1022563 ALLEGRO_EDITOR INTERFACES IDF_In do not import Arc correctly when IDF, and Allegro accuracy are same. 1025402 SIG_INTEGRITY LICENSING Show Element window does not display, and Allegro crashes.